City Council plans to hold a public hearing and final vote on the marijuana ordinance at its Feb. 14 meeting. In a preemptive strike, Ocean City plans to ban the sale of marijuana in the family-friendly resort town as discussions continue among state lawmakers to legalize recreational pot smoking in New Jersey. The measure would ban marijuana facilities within one-quarter mile of a school, church, recreational or sports facility, the Boardwalk and any residential area. It would effectively outlaw businesses from selling marijuana or pot paraphernalia in all parts of town. “There is no area of the City which can safely house a business selling medicinal and recreational marijuana and/or the paraphernalia that facilitates the use of same,” the ordinance says. “Ocean City’s got a great niche as a family-friendly and dry town. 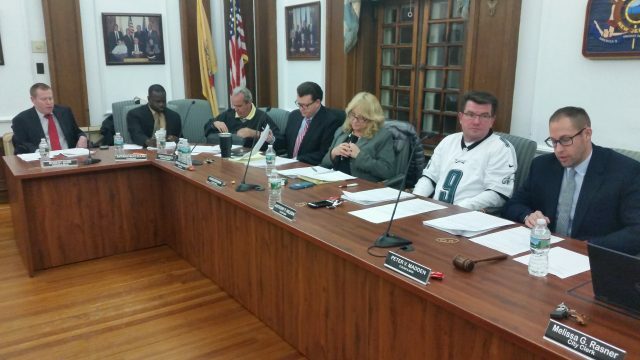 This is consistent with that image,” Council President Peter Madden said in an interview after the meeting. Founded in 1879 as a Christian resort by a group of Methodist ministers, Ocean City has always been a “dry” town. The ban on alcohol sales is a centerpiece of the city’s image as a safe, family-style summer vacation retreat. City Solicitor Dorothy McCrosson says towns have the option of banning marijuana sales, even if the state Legislature legalizes recreational pot smoking in New Jersey. Council members have joined with Mayor Jay Gillian in expressing concerns that the city’s reputation could be harmed if marijuana is sold in town and people simply begin smoking pot in popular tourist areas, such as the Boardwalk. Councilman Michael DeVlieger said the town’s Methodist founding fathers “were smart enough” to create a family-friendly atmosphere. He maintained that a ban on marijuana sales would continue that tradition. “I think we should do the same,” DeVlieger said. Councilman Keith Hartzell said the “high majority” of local residents he has spoken to don’t want to see marijuana sold in town. A public hearing and final vote on the ordinance are scheduled at Council’s Feb. 14 meeting, 7 p.m. at City Hall. Ocean City is following other towns that have already passed local laws banning marijuana sales in anticipation of the state Legislature and Gov. Phil Murphy legalizing the recreational use of pot. Murphy made it a campaign promise to make recreational pot smoking legal, but the Legislature has not yet been able to agree on a bill. Dorothy McCrosson, Ocean City’s solicitor, said every version of proposed state legislation she has read that would legalize recreational pot includes a “local prerogative” allowing municipalities to ban the sale and manufacture of marijuana. 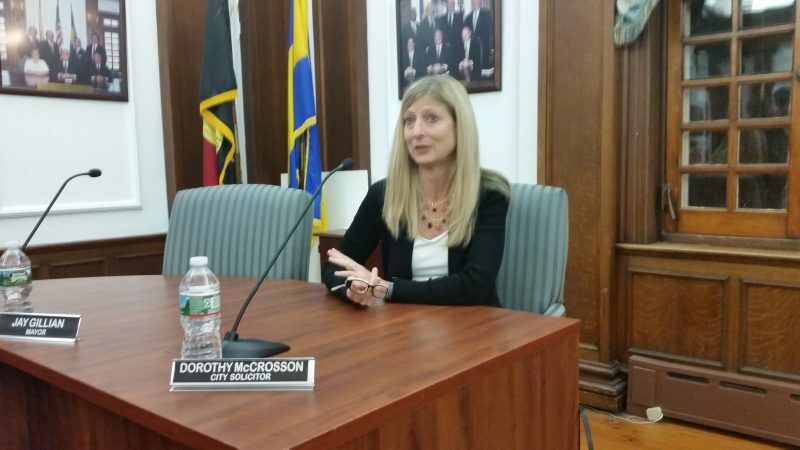 “We’re not banning private use, if it would be legalized,” McCrosson told reporters after the Council meeting. Murphy and other marijuana advocates say the drug’s legalization in New Jersey would end the injustice of blacks being arrested for possession of pot at higher rates than whites. One Ocean City resident, Steven Fenichel, said marijuana arrests were largely to blame for a disproportionately high number of Hispanics and blacks being incarcerated in U.S. prisons. He called for a study to analyze the impact of the city’s proposed ban on marijuana sales and how it would affect the prison population. “Please vote no for this ordinance seeking to ban marijuana,” Fenichel told the Council members just minutes before they did the opposite. Frank Donato, the city’s chief financial officer, tells Council that the Special Improvement District budget funds an array of events and entertainment. 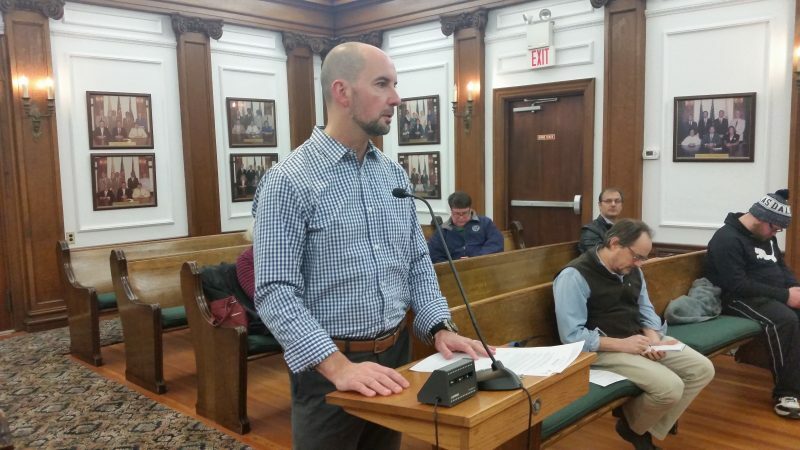 In other business Thursday, Council gave unanimous approval to a nearly $492,000 budget for 2019 that will fund entertainment, special events and promotions in three parts of town that serve as magnets for tourism and commerce. Known as the Special Improvement District, the budget includes the Boardwalk, the downtown area of Asbury Avenue and the Ninth Street corridor, the main entryway into the city. Fees assessed on businesses located in the SID provide revenue for the budget. Frank Donato, the city’s chief financial officer, told Council that major events funded by the budget include the city’s annual air show, fireworks displays, entertainment in the downtown business district and family nights on the Boardwalk.